Neste, the 3rd most sustainable company in the world, has developed Neste MY Renewable Jet Fuel™, a sustainable aviation fuel, in order to help the aviation industry to reduce its carbon footprint. Neste MY Renewable Jet Fuel™, is produced from 100% renewable and sustainable raw materials. The fuel offers a convenient and effective way to decrease emissions and increase the proportion of renewable energy used in aviation. “In 2019, Neste plans to produce more renewable jet fuel than all other providers combined. By 2022, Neste plans to increase its production remarkably to meet the demand." Neste MY Renewable Jet Fuel™ complies with the strict safety and quality requirements of the aviation sector and is certified under ASTM D7566. It is fully compatible with the existing jet engine technology and fuel distribution infrastructure when blended with fossil jet (ASTM D1655). Therefore, no additional investments or modifications are needed. Using Neste MY Renewable Jet Fuel™ produced from 100% renewable raw materials can achieve up to an 80% reduction in greenhouse gas emissions over the fuel’s lifecycle compared to conventional fossil jet fuel. It can reduce harmful particulate SOx and NOx emissions and it burns clean - free of sulphur, oxygen and aromatics - with higher energy content. Additionally, it will significantly reduce local airport emissions of CO2, PM and NOx. Neste MY Renewable Diesel™ is already in use in the airport ground fleet transportation. Currently, we can use more than ten different renewable raw materials in our renewable product refineries to produce our renewable products. By having an extensive range of raw materials for production, it provides flexibility in allowing us to respond to the unique needs of customers and markets. Our own NEXBTL technology allows the use of almost any waste fat or vegetable oil in the production of Neste MY Renewable Jet Fuel™ and other renewable products. 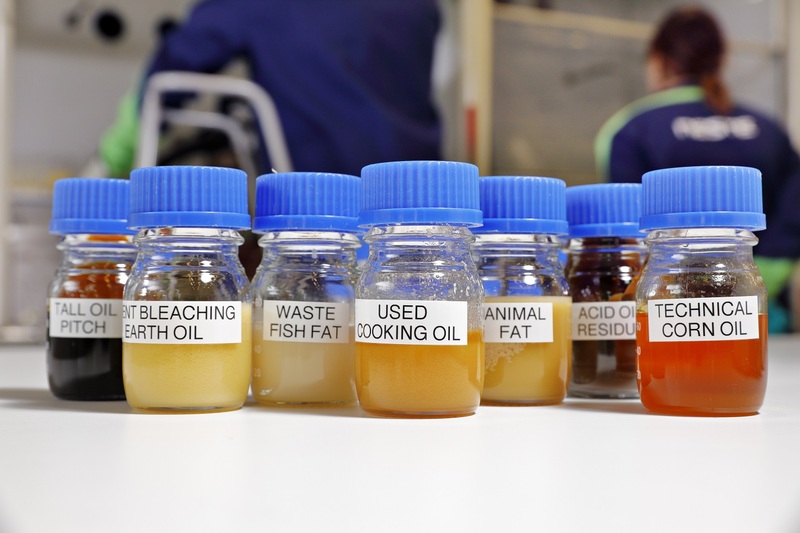 For aviation fuel purposes, the feedstock we use covers different certified waste and residues, e.g. used cooking oil and animal waste fat. The fuel is always of premium quality, regardless of the raw material we use in its production. Safety should not be compromised in aviation. Facts about Neste MY Renewable Jet Fuel safety in our technical expert blog. Neste's online hub to raise awareness about sustainable aviation solutions.